Leaving the Duplin River as soon as the fog lifted put us in the Little Mud River just past high tide. A little later than we planned, but still with a good safety margin. The 7- to 8-foot tides allow us safe passage even through the 4- to 5-foot spots along the Little Mud. This is one of the worst parts of the Georgia ICW, but with some planning and the many anchorages in the area, making a safe transit at a higher tide is not difficult. 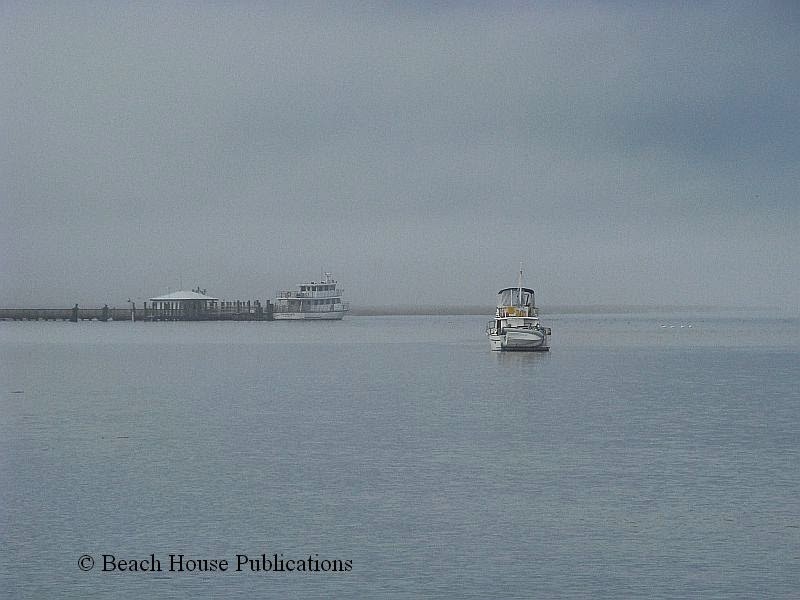 As we got underway, the fog was still around but not dense, and the day began cloudy and dreary. As we past red marker "192" in the Little Mud, our depths began to shallow up and soon we found a stretch that would be 3.5 to 4.5 feet at low tide. Even with Beach House's 4-foot draft, we would be hard aground without the help of the higher tides. The rest of the channel maintained what would be 5 to 6 feet at low tide. Although the really shallow spots are few, they are enough to cause concern for most boaters and certainly for deeper drafts. The next 4 hours passed without incident and our next concern would be Jekyll Creek. It was 1 hour before low tide and the least depths we saw were 6.5 feet. This is another one of those channels that care is needed not to drift too far to port or starboard. there is just enough water in the channel, but very little if you stray out of it. Once past Jekyll Creek, the channel is well-marked and deeper until past the Kings Bay submarine base and near the section called Cumberland Dividings. This section is famous for the conundrum a boater can get themselves into by following older chartplotters instead of paying attention to the channel markers. The channel is deep and well-marked if followed. Older charts and plotters show the boat going over an island and off course. Good eyeball navigation trumps the electronics here and will keep you out of trouble. The sun came out off and on, but the temps were still pretty cool for being this far south. It was almost 5 in the afternoon when we turned off the ICW and headed north in the channel along Cumberland Island, Georgia. 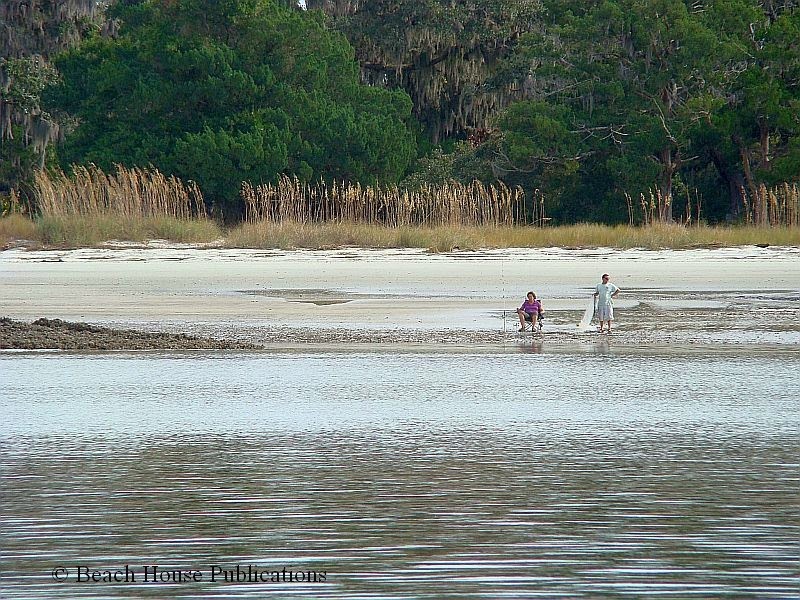 We've anchored here often and Cumberland Island is a wonderful place to relax and enjoy. This time it would be just an overnight since the bad weather was quickly approaching and winds were forecast to increase considerably for several days. 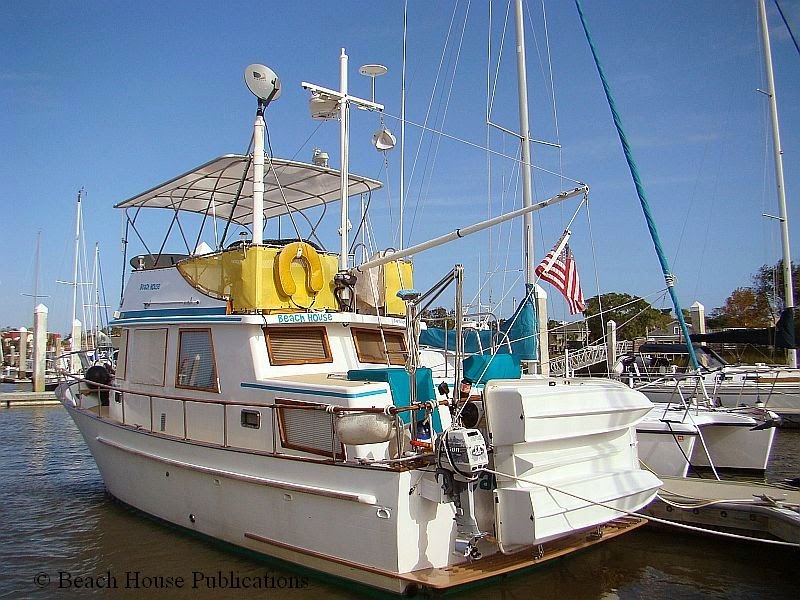 Our plan was to hole up at Fernandina Harbor Marina for the next week, do some chores and visit with friends. 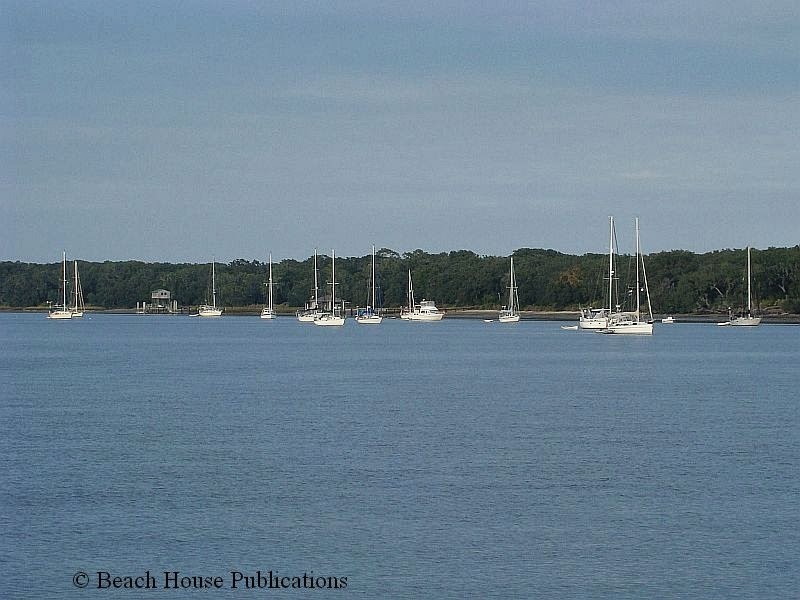 There were 3 other trawlers and 16 sailboats in the anchorage with us at Cumberland. We picked a spot that was far enough away from the crowd that running our generator in the evening wouldn't bother anyone else and kept us away from the main channel, since we expected more fog overnight and into the next morning. And man did we get it. Sure enough, as soon as the sun was up, it was obvious we weren't going anywhere just yet. By 8:00 a.m., the fog was lifting so we hauled up the anchor and headed for the marina. It is only a short distance away, but we moved very slowly in the reduced visibility. 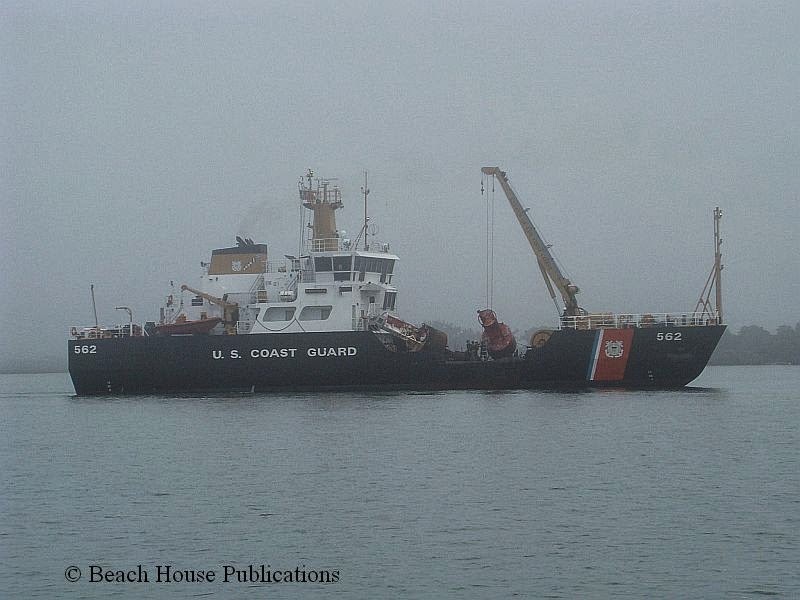 As we entered the ICW once again, a Coast Guard buoy tender appeared out of the fog. He was stationary and was pulling a large red buoy out of the water for repair or replacement in the St. Mary's River. As more of the fog lifted, more boats were moving around the river and visibility began to greatly improve. We had reservations at the marina, but we didn't have all day to get there. 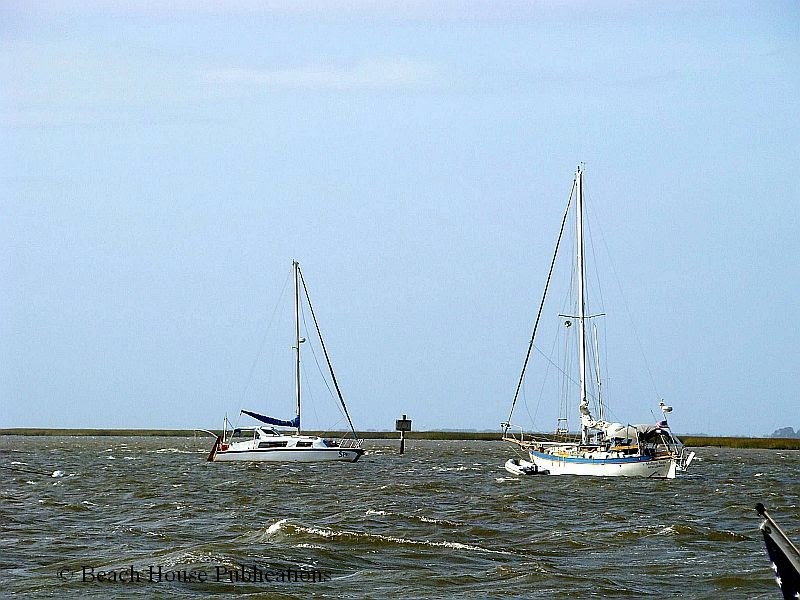 The currents in the Amelia River run strong, and while docking at the face dock is as simple as approaching and docking with the boat pointed into the current, we had reservations for one of the inside slips. The marina offers a discount for the inside slips because they are in shallow water and we took advantage of the discount. But the thoroughfares and docks on the inside are tight, and trying to dock in the swift current isn't an option for our single engine. There is about a half-hour window when the tide switches and the current goes slack. Rather than having plenty of time, the fog delayed us and we were cutting our window a little close. As we approached the marina, we hailed the dock office on the VHF and they gave us our slip assignment and directions to get to the slip. One of the marina staff was at the slip as we arrived to give us a hand with our docklines. The service at Fernandina Harbor Marina is always superb. We have a very good friend that lives here so this is always a planned marina stop. But there are several good anchorages available, too, if just passing through and in need of just an overnight stop, or there is the option of picking up one of the marina's moorings. However, being out in the river in heavy winds is not something we would consider. Been there, done that, got the t-shirt. This time we planned for at least a week in the marina. That was how long the heavy winds were expected to last and we had few things we needed to do. Our friend has an extra vehicle and always drops it off for us to use when we're in town. It's wonderful to have friends like that and many of our friends are current and former cruisers. Once settled in the slip, the "work" begins. Be sure and visit our Facebook Page for lots of photos, news and information about the waterways. Hi, I happened upon your blog from your link on FaceBook. We're about to head up the ICW. I can't find dates on your posts so don't know how old they are. Or am I missing something? If you look in the URL it gives the month and year the post was made. Our Bahamas posts are from last winter and our transit north on the ICW was from about May of 2013. We spent this past Summer in the Chesapeake and the transit south on the ICW is from the end of September until now. I hope that helps and we hope you find the blog useful.